I genuinely feel bad about putting this little ditty up here, for fear of giving you all horrible hunger pangs. 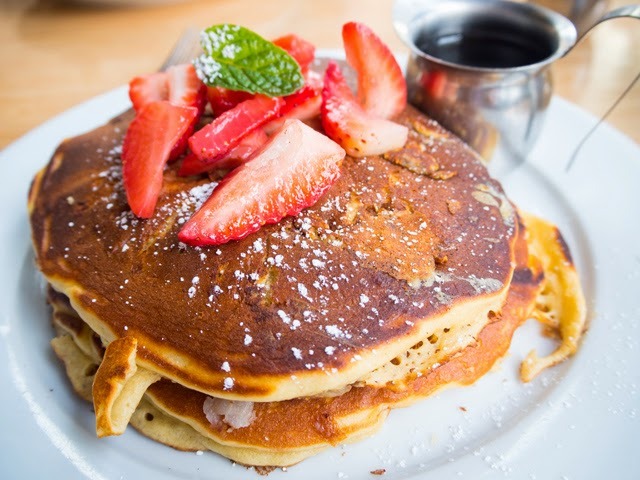 Even as I write this, the pictures of the strawberry pancakes have me double checking the calendar to make sure it's only three weeks before I am once again sitting at the Sunset Junction Coffee Shop. I'll take my coffee black and my pancakes sugary sweet. So, why mention this at all? Well, I feel America sort of has this reputation. Every time I come back to the UK I hear a new tale of an amazing breakfast had with the last visit someone made to the States. It's always the breakfasts that get the highest accolades. 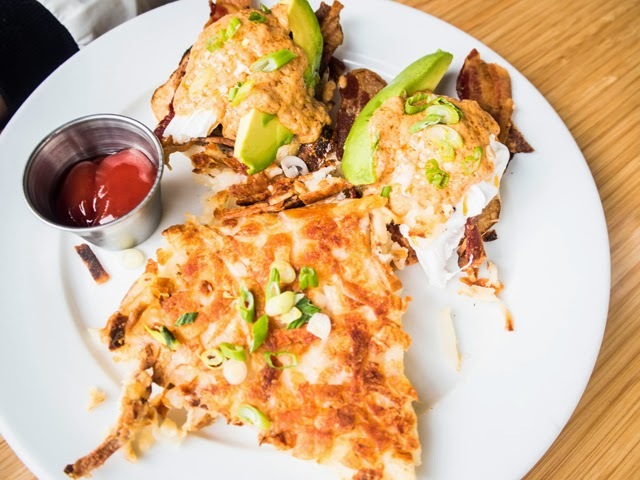 Folks detail fluffy pancakes, bites of streaky bacon, bottomless coffee and endless options for day-starter meals. America is a place for breakfast. As this reputation has really taken hold, I thought I should start taking more time to focus in on my country's plated perfection. For years I've lived by the theory that my dad makes the best pancakes in the world, so why would I order them elsewhere? 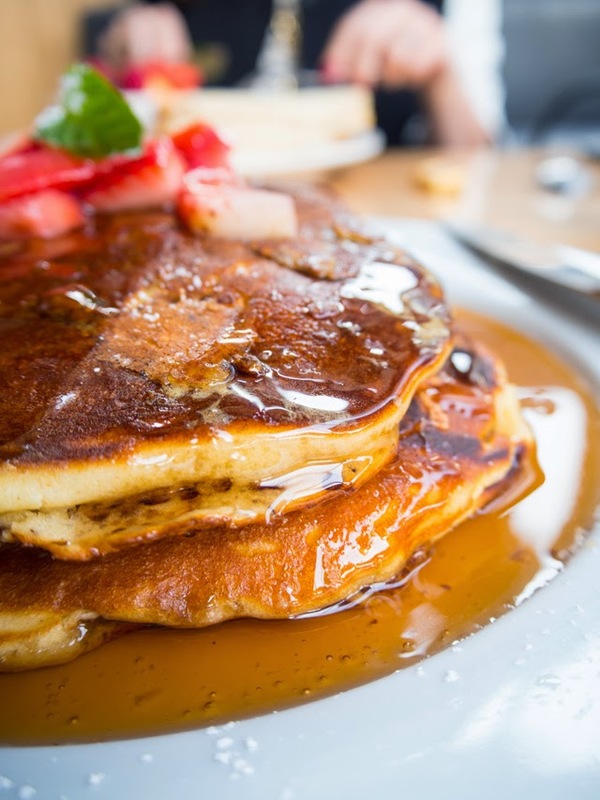 I still firmly believe that his pancakes tower above everyone elses, but it's hard to invite you all over for breakfast, much to my chagrin, so I'm headed out into the world to discover the next best thing. 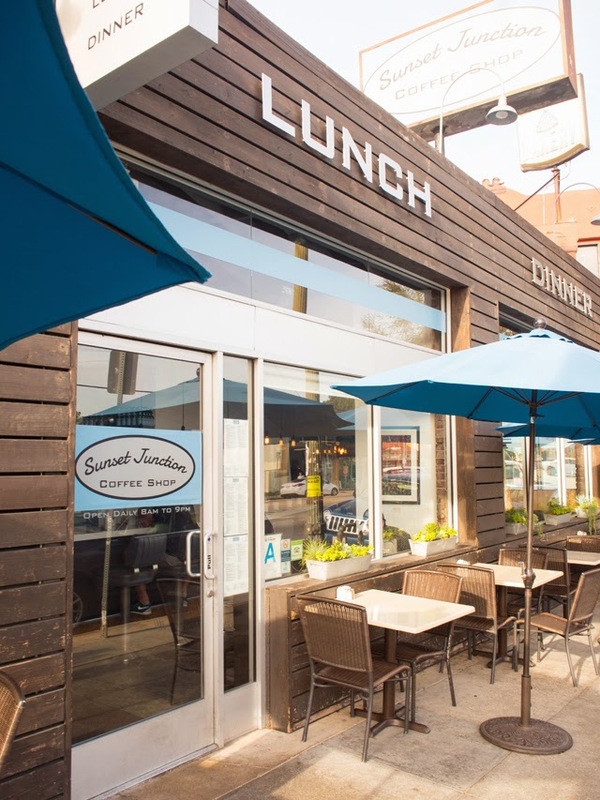 After spending a few days in Silver Lake, Los Angeles, I think I have a pretty good lay of the land and feel very confident in recommending you visit the Sunset Junction Coffee Shop. As the name suggests, it's found at Sunset Junction. It's sort of hard to miss. 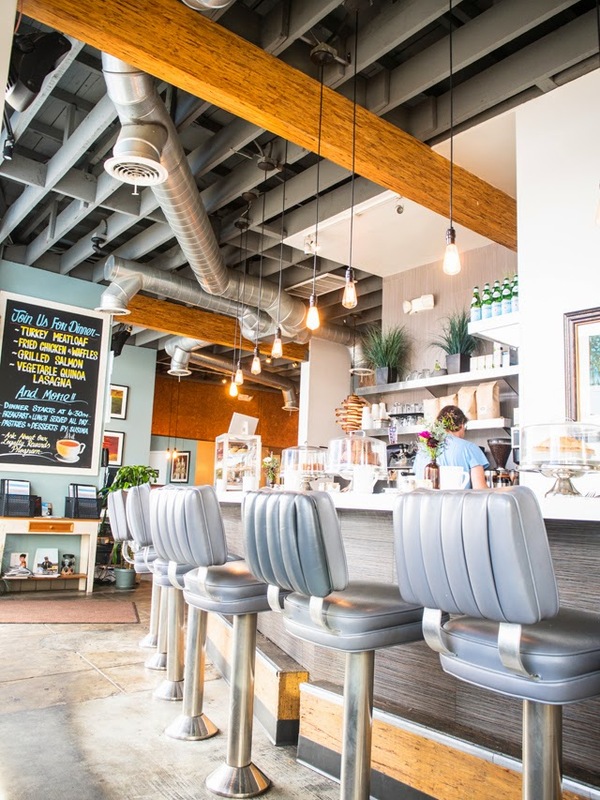 It's the perfect combination of California cool and old school diner, rolled into hip as hell Silver Lake central. 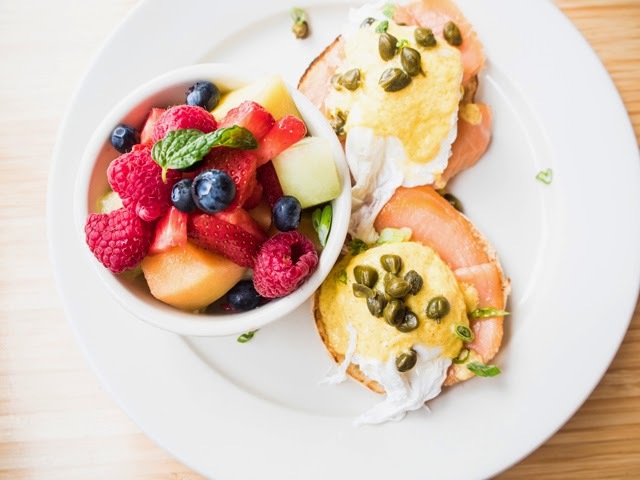 In short, it has everything you're looking for in an all-star American brekkie. 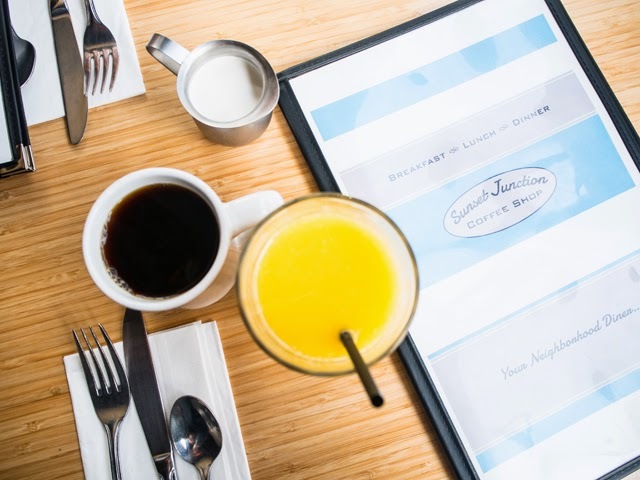 The coffee is never-ending, the pancakes massive and delicious, and the menu so extensive you'll need at least a half an hour (make that three cups of coffee later) to decide what to order.